“They are going to have to retool their packages so they are able to connect directly with that younger fan base,” said the head of the NBA. 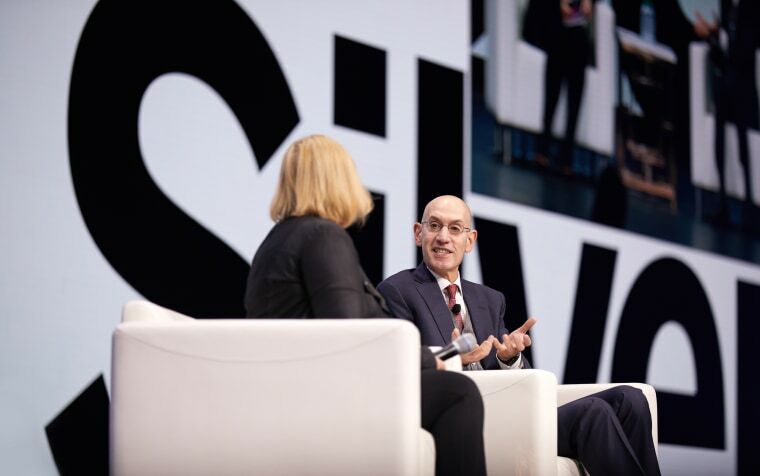 When David Levy, the president of Turner Broadcasting, announced earlier this month that he is stepping down after 33 years, NBA Commissioner Adam Silver said he was losing a partnership in which they "could complete each other's sentences." The relationship between the NBA and Turner dates back to 1984 and runs deep. TNT has the rights to carry NBA games through 2025, due to a deal Levy brokered in 2014. Turner also runs NBA TV for the league, along with NBA.com. But with Levy out of the picture, that relationship is changing. Silver will now have to deal with a partner that looks legitimately different — starting with a brand new contact. CNN President Jeff Zucker will take on an expanded role that includes overseeing sports for WarnerMedia, which runs properties including PGA.com, PGATour.com, NCAA.com, Bleacher Report and B/R Live, a premium sports streaming network. Zucker previously oversaw sports programming and the Olympics when he was president of NBC Universal Television Group. “I was surprised by some of the changes they are making, some of the personnel changes,” Silver told NBC News. “I ultimately understand that as the acquirer, and having invested an enormous amount of money in integrating these businesses, that they have a vision for how they want to do things." Last month, shortly before an appeals court judge upheld AT&T's $85 billion merger with Time Warner, AT&T and the NBA announced a new multi-year partnership around “marquee moments,” and community involvement opportunities. The agreement also includes finding new ways to bring fans closer to the action, whether it’s through virtual or mixed reality, new cameras, and other immersive tech. The NBA is essentially entering into a new era with this partnership, and Silver said he expects fans will notice a difference. Despite a large millennial fan case, the league has struggled to reach young fans, who are either cord-cutters or “cord-nevers.” They don’t have a streaming subscription to watch sports, but want to engage with the NBA. “I think what we are looking forward to, in the case of AT&T — and Disney, as the owners of ESPN — is a recognition that in order to compete going forward, they are going to have to retool their packages so they are able to connect directly with that younger fan base,” said Silver. That includes creating various options for consuming content, whether that’s on a smartphone screen, a giant television or perhaps, by even putting on a virtual reality headset. “Historically, it was one size fits all. Just put the game out there and whoever watches it, watches it,” he said.